Precision manufactures the worlds finest quality and highest endurance chains. 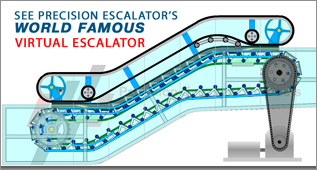 We inventory and customize a wide variety Escalator Makes, Models, sizes and types of Escalator Chains. Since Precision provides complete end to end solutions for all your Escalator and Elevator parts repair options, we know chains only as good as its weakest link and That’s Why – Precision has always manufactured our chains to far exceed standard specifications. When properly installed, maintained and lubricated, we have seen our Precision Chains installed that still look like new after 15 years of heavy public transit usage. We are extremely proud of the quality control, we have engineered into our chain product offerings. We use only the highest quality materials available and components. Our installed references are extensive. Of course all chains vary by manufacturer, installed model type, and version code. Please reconfirm all details with our expert engineers when you call. 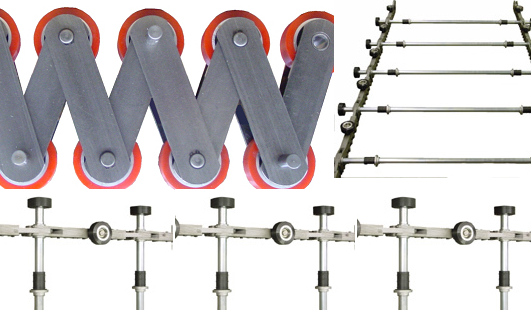 You may see some samples of our chain products in the manufacturers sections of this website. You can see many examples of these products that Precision manufactures and can supply to you, but it is best to call our offices.